Science-based regulations and angler ethics. Are tools missing from the toolbox? 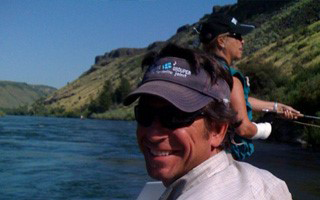 Justin is the General Manager at The Lodge of Palisades Creek on the South Fork Snake River. 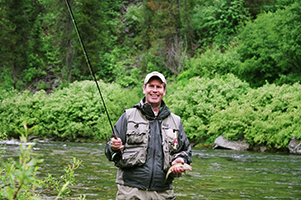 As the manager at an Orvis-endorsed lodge, he has worked with and fished with guests from all across the Unites States and several countries. His guests are primarily fly anglers who practice catch-and-release while the South Fork Snake River has a regulation allowing and encouraging unlimited harvest of Rainbow Trout. Tim is an author from New England who grew up exploring the saltwater bays, marshes, and rivers of coastal Rhode Island and southeastern Massachusetts. Tim received a B.S. in Wildlife Biology from the University of Vermont, and a M.S. from Yale School of Forestry and Environmental Studies. Writing started as a sideline of Tim’s work as a professional land conservationist and natural science educator, but has progressed to a full time occupation. 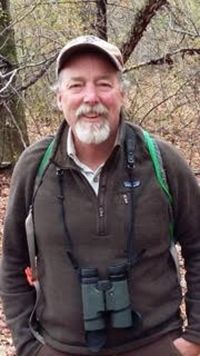 Tim has published many articles and interest pieces and is the author of two books, Sippewissett: Or, Life on a Salt Marsh and Lost in the Driftless: Trout Fishing on the Cultural Divide. Chip Corsi first put on an IDFG uniform shirt in 1978 as temporary at the Rapid River hatchery, back when rotary dial phones were still common and e-mail hadn’t been invented. Since then he has worked as a fish culturist, a fishery research and then management biologist, a regional fishery manager, staff biologist, and state fisheries manager, working in the upper Snake, Magic Valley and Panhandle regions, and in headquarters. In 2003 he had an opportunity to go back out to a field office, and has served as the regional supervisor in the Panhandle region ever since. Along the way, he’s had a few opportunities to use regulations and other forms of incentives to work with anglers to help meet sport fishing and/or conservation objectives. He has a BS in Fishery Resource Management from the University of Idaho, and an MS in Zoology from Idaho State University. He is a fellow of the National Conservation Leadership Institute and a past president of ICAFS.